This is a useful cabinet from the 1930s made of oak in good original condition - we've added new top glass and waxed and polished the frame. 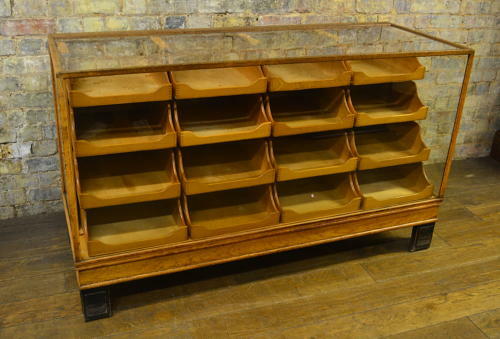 This cabinet has 16 drawers and it would be ideal in any shop, home or private establishment. These cabinet show stock and clothes to their best advantage.